Maynard – Joyce A. (Rhodes) Manning, 58, died unexpectedly Tuesday June 7, 2011. 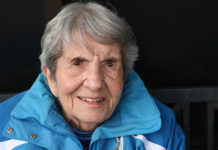 Born in Waltham, the daughter of the late Robert and Marie (True) Rhodes, she had lived in Maynard for the past eight years after residing in Hudson for 30 years. Mrs. Manning was employed as a dog groomer and owned and operated her own shop, Hair Of The Dog, in Maynard for many years. She was a longtime member of the Grace Baptist Church in Hudson. She is survived by her sons, Michael Manning of Marlborough, Kevin Manning of Holliston and Jack Manning of Hudson; her daughter, Jennifer Moulton of Hudson; her siblings, Sherman Rhodes of New Hampshire and Janet Carlson and Robin Rhodes, both of Florida; her grandchildren, Austin, Hannah, Chace, Peyton, Joseph and Jacob; and many nieces and nephews. Her funeral service will be held Sunday June 12, at 5 p.m., in the William R. Short and Son Funeral Home, 95 West Main St., Marlborough. Burial will be private. Visiting hours at the funeral home will be held Sunday June 12, from 3 to 5 p.m., prior to the service. For online condolences, please visit www.shortfuneral.com.